Many industries depend on high-value assets such as generators, trailers, powered and non-powered tools and equipment for day-to-day operations and production. While some assets are moved from jobsite to jobsite on a daily basis, others are left in remote locations, unsupervised, for long periods of time. With so many moving parts to account for, it can be challenging for management to keep track of these assets at all times. The lack of visibility often results in reduced productivity, idle, underused or lost equipment, and high costs. TELUS Asset Tracker is a wireless, battery-powered GPS tracking device that provides businesses with remote visibility into the location and status of high value assets. The small, rugged tracking devices easily attach to large and small assets and send location information at predefined intervals to the cloud. Management can view the location of all tracked assets on a map at anytime, from anywhere via the user-friendly desktop and mobile portal. 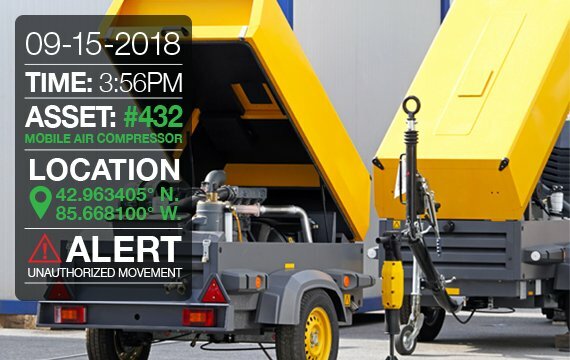 In the event of unauthorized movement or activity, real-time alerts and notifications are automatically sent, allowing management to take immediate action. Daily reports are also available and help to simplify inventory auditing and management. TELUS Asset Tracker AT1 device operates wirelessly on the low-power LTE-M network and has a battery life of up to 3,300 pings. Integrated sensors for humidity, light, temperature and impact provide a complete picture of the status of valuable assets and enable proactive decision-making. TELUS Asset Tracker AT1000 device monitors equipment position, leveraging HSPA to provide status and movement updates. It can also be hardwired to a heavy duty asset’s power source, which automatically recharges the device’s battery when the asset is on. Improve operational efficiency, increase asset productivity and RoI, and reduce asset loss with TELUS Asset Tracker. AT1000 B - Technical Spec Document This document contains technical specifications for Asset Tracker 1000 B.
AT1000 - Technical Spec Document This document contains technical specifications for Asset Tracker 1000. AT1000 XT - Technical Spec Document This document contains technical specifications for Asset Tracker 1000 XT.